Who doesn't like breakfast for dinner? Whether its breakfast, lunch or dinner, chefs Michael Symon and Kristen Kish both agree that scrambled eggs are perfect for any meal. 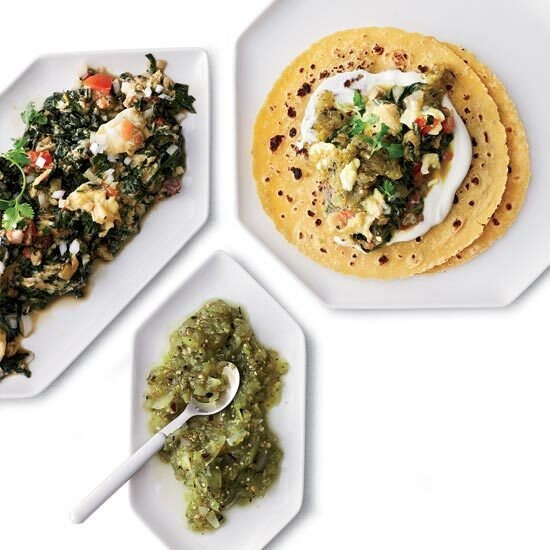 From crêpes to tacos, here are nine incredible ways to enjoy scrambled eggs. 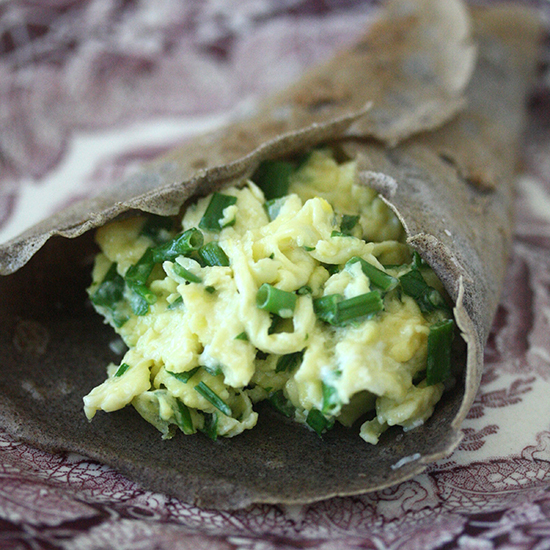 Custardy scrambled eggs star in these delicious, gluten-free crêpes. Roti, an Indian flat bread, is great with these addictive eggs, which are flavored with chile, garlic and ginger. 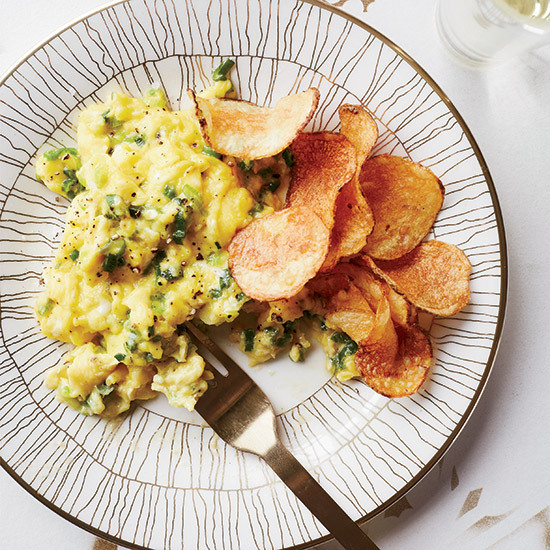 F&W chef-in-residence Hugh Acheson likes to pair scrambled eggs with kettle-cooked potato chips. 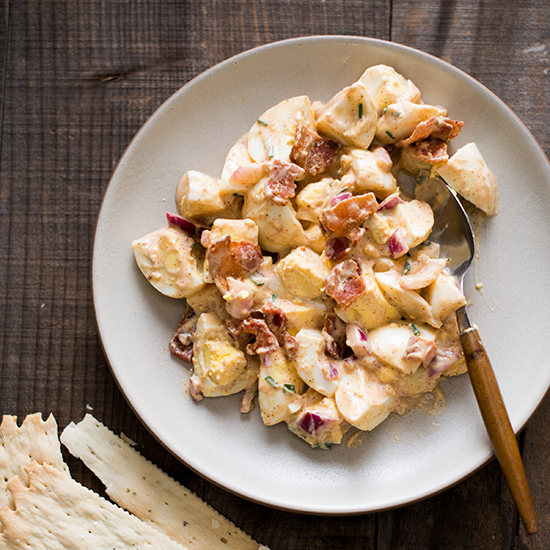 Hugh Acheson serves his delicious scrambled eggs with a side of crunchy potato chips. 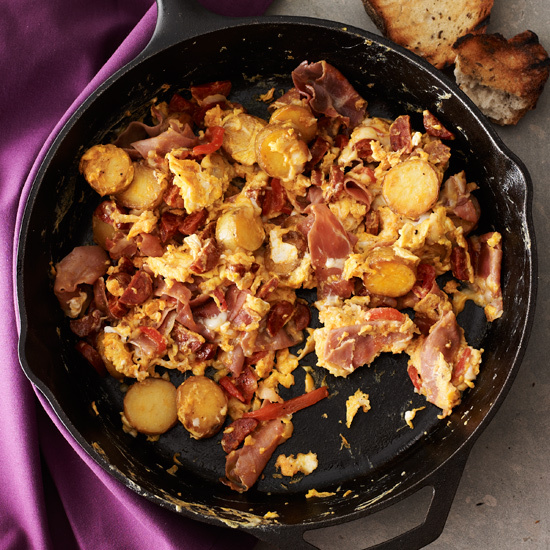 Ready in just 40 minutes, this terrific breakfast dish is made with potatoes, spicy chorizo and Spanish lomo (cured pork loin). These healthy vegetarian tacos combine scrambled eggs, sautéed Swiss chard and plum tomatoes. 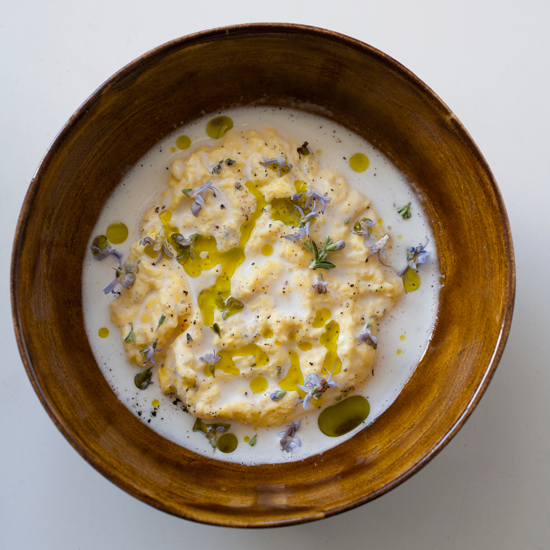 What's the secret to Daniel Patterson's super-creamy, perfectly scrambled eggs? He beats the eggs, cooks them quickly in a vortex of boiling water, then immediately drains them. 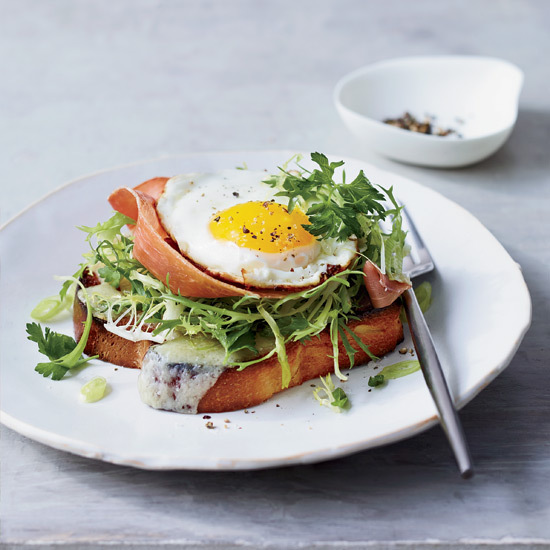 These warm, melty, open-face sandwiches are sure to win over Dad. 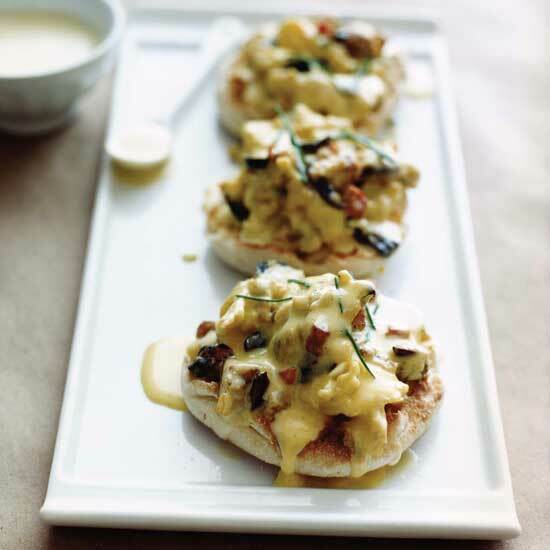 This decadent take on eggs Benedict features scrambled eggs with Canadian bacon, Gryuère cheese and pickled jalapeños. Adding white truffle oil gives these creamy scrambled eggs a rich, luxurious flavor. 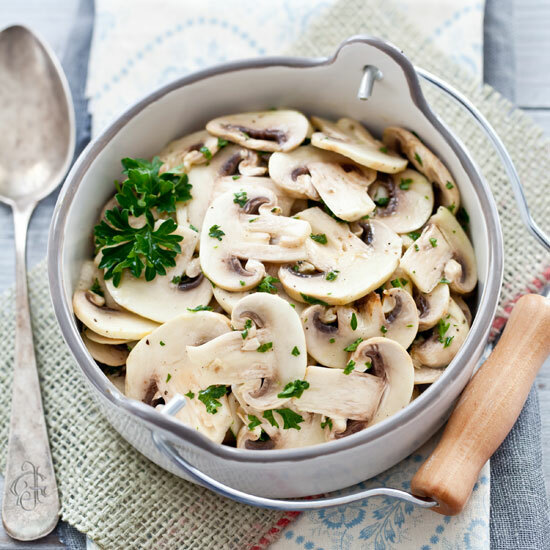 This hearty breakfast is great for a crowd.